Good evening, so its the last week of blogs and tonight's is a double blog from Teresa & Iwona. 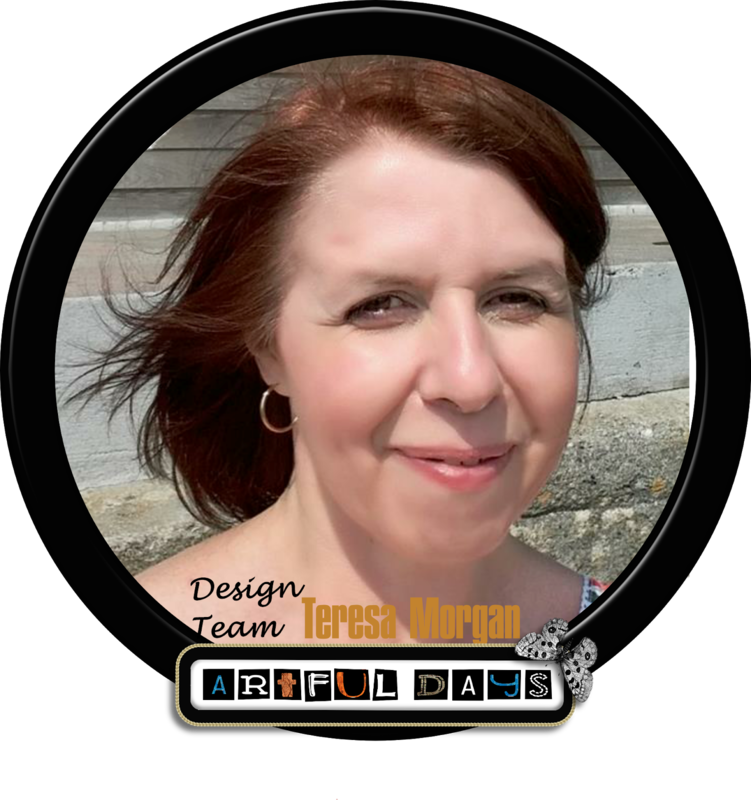 Please can I thank everyone who have viewed our blogs and left comments, it means so much to the DT. 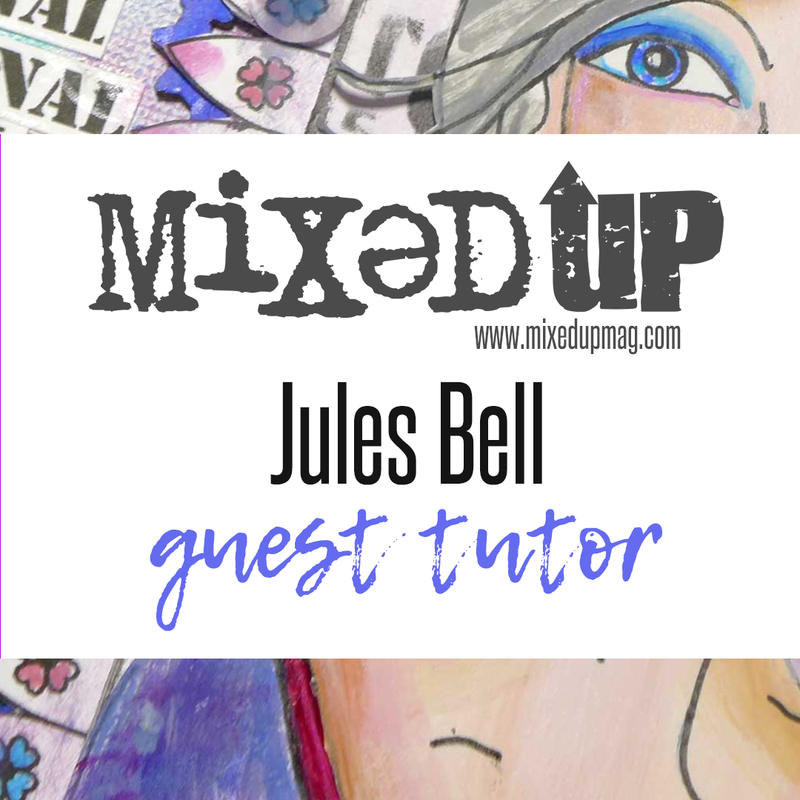 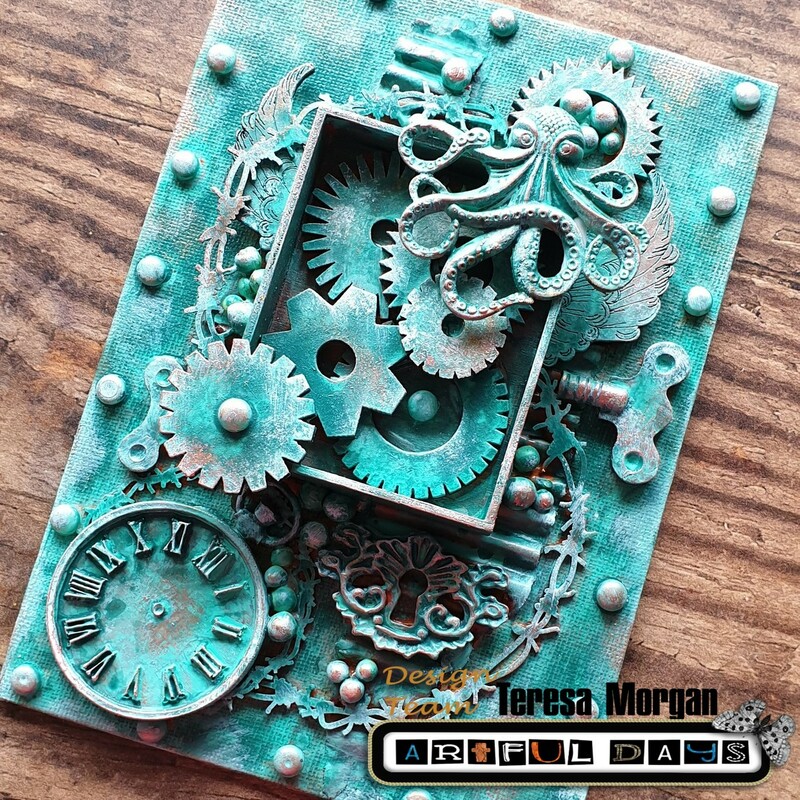 Teresa is a fantastic teacher and I have loved her step by step processes and explanations. 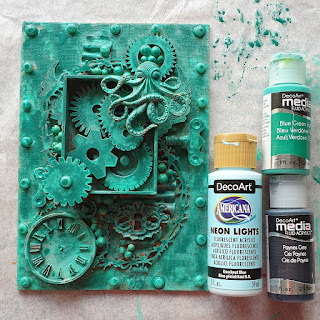 Take a 7x5 inch canvas board and add a couple of strips of torn corrugated card. 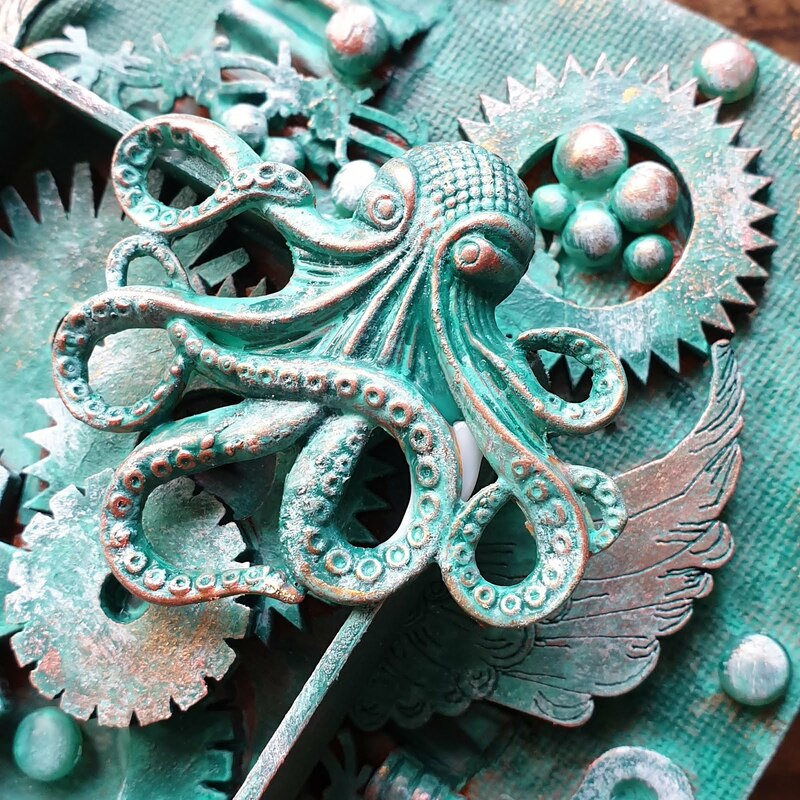 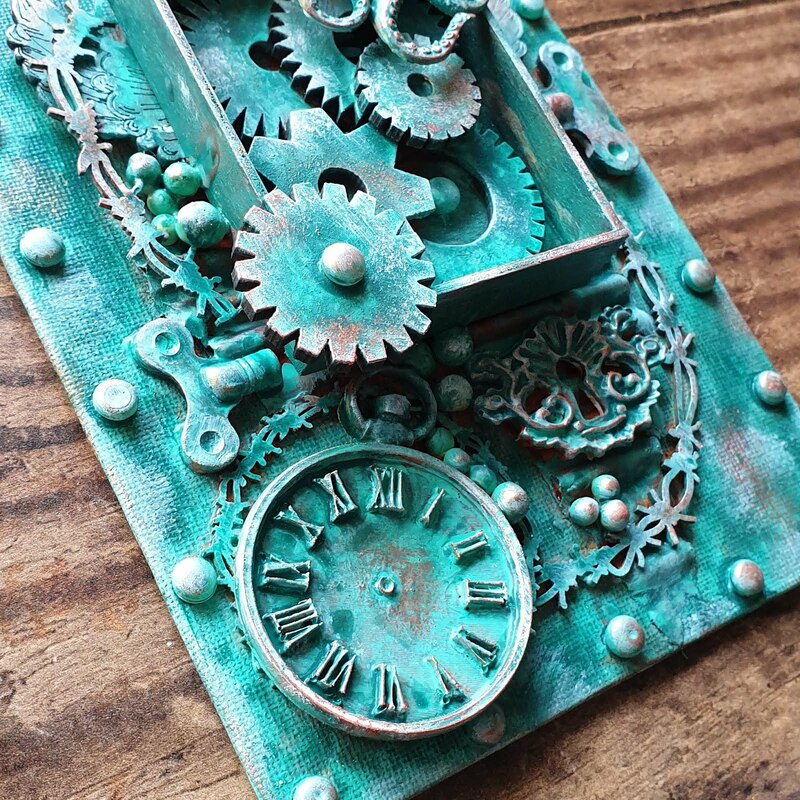 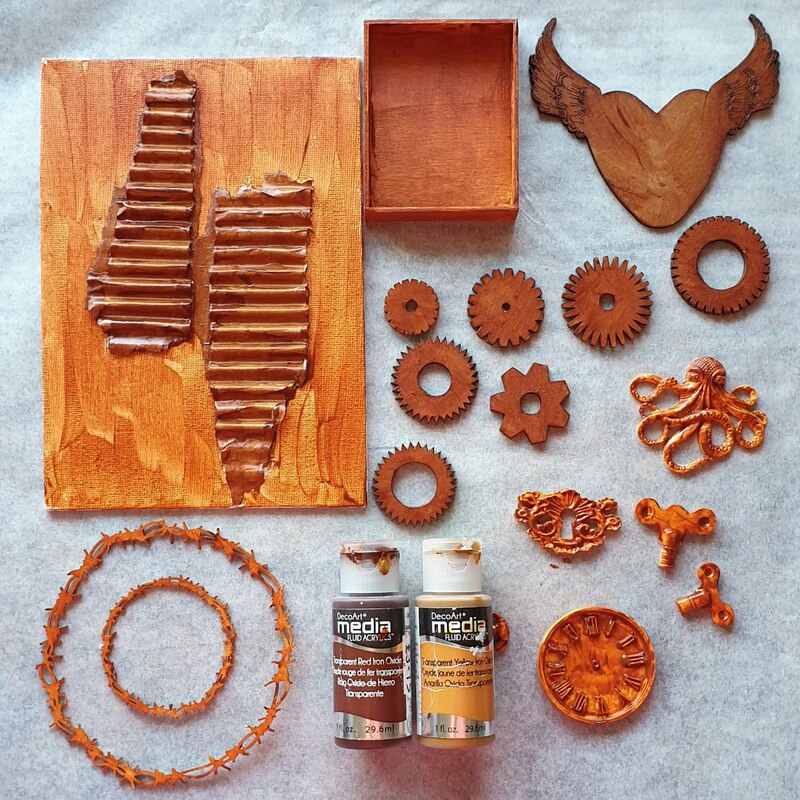 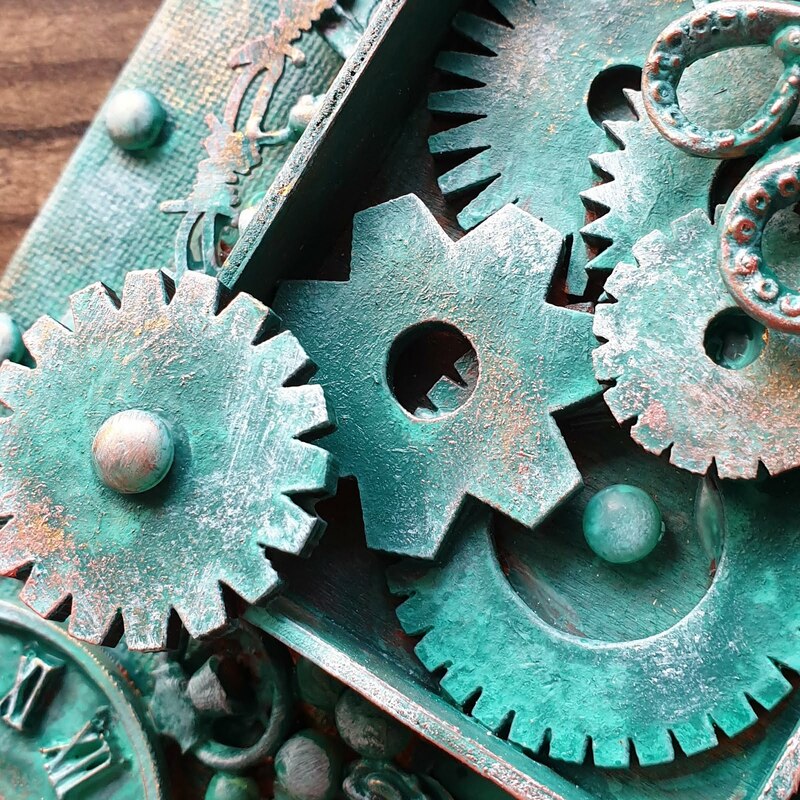 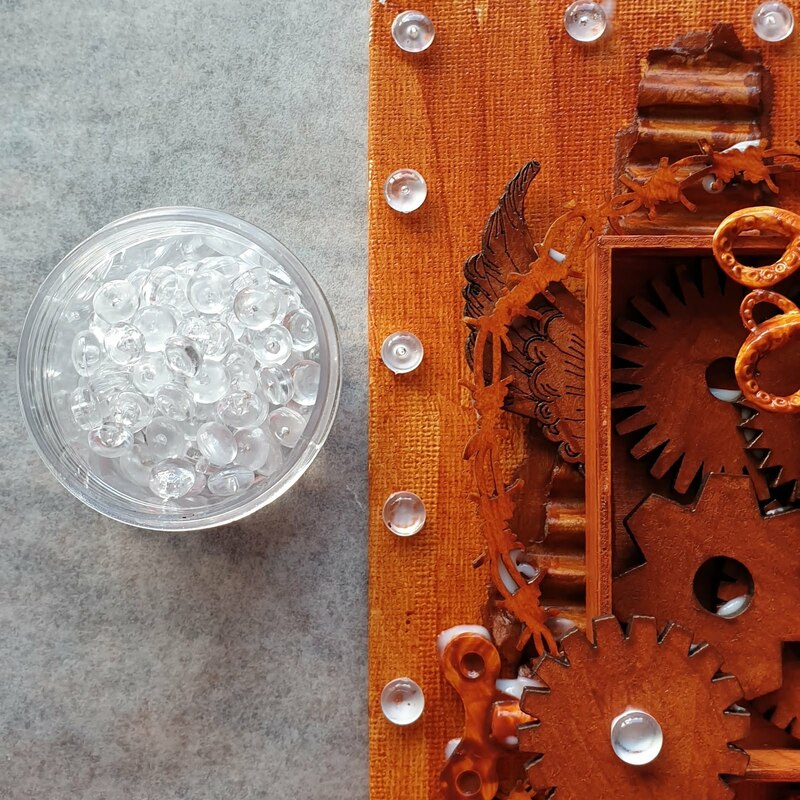 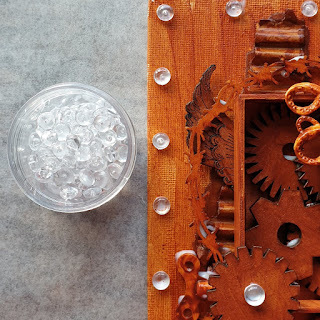 Gather some MDF cogs, resin embellishments, chipboard frames and a small wooden tray. 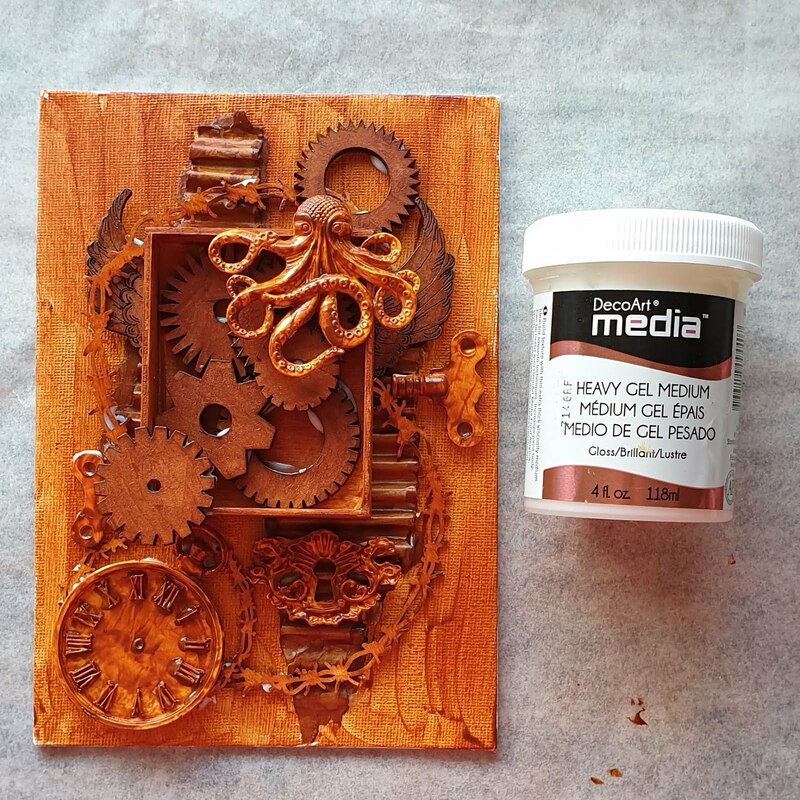 Paint everything with a couple of coats of Transparent Red and Yellow Iron Oxide paint mixed together. 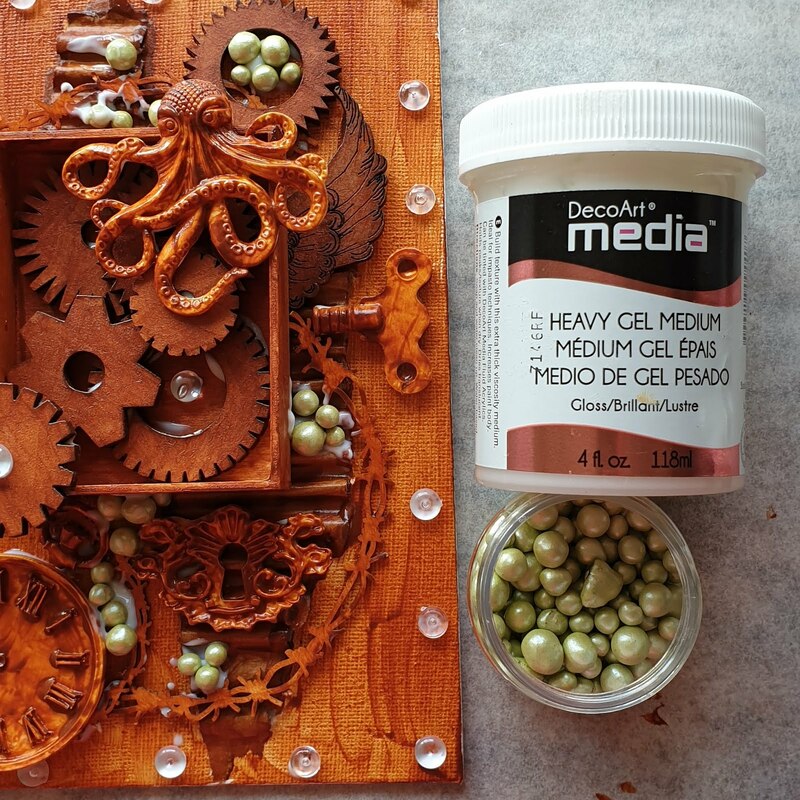 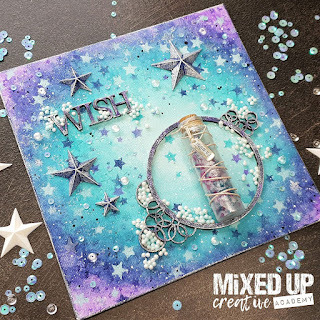 Once dry, arrange the embellishments and glue together using Heavy Gel Medium. Glue some dewdrops around the edge and in the centre of a cog to simulate rivets. 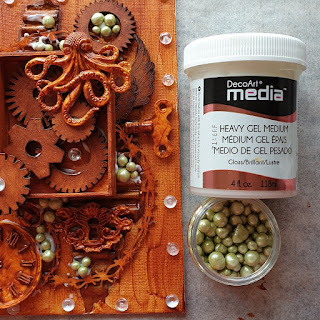 Add some Pearl Art balls with Heavy Gel Medium for texture and interest. 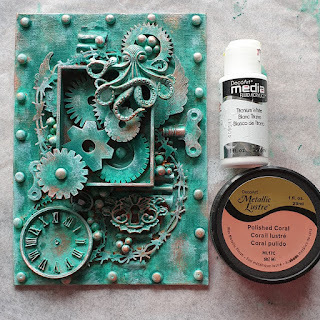 Apply washes of colour to give a patina effect. 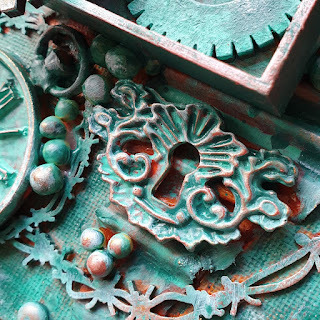 If you have any questions about this or any project on the blog please do ask, we are more than happy to help. 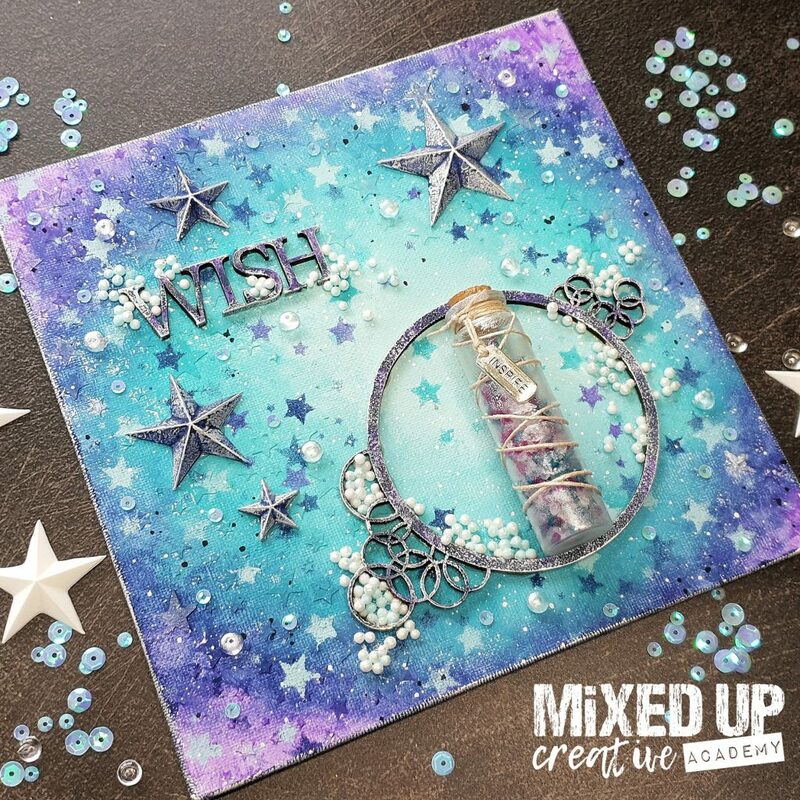 Please leave a lovely comment to support our designers and thanks for looking.